Are aerodynamically more efficient due in part to new golf ball technology. Increased distance is the result of recent updates and the Ionomer cover affords greater control around the putting green. We offer a wide selection that include: Top Flite Mix, Top Flite Mix Yellow, Top Flite No Logo and Top Flite Quartz Color Mix. We also offer an 8 Doz Top Flite Mix Bulk at a low price. 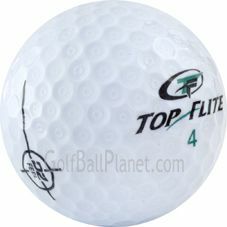 Those are just a few of the Top Flite balls available here at Golf Ball Planet.